Removing DPF filters from diesel vehicles has been a common practice for many years, sadly though many car owners are getting a very unpleasant surprise when the car is entered for its Mot or yearly fitness test. Often it is the second or third owners of the car who may have no idea the DPF system has been removed, only when they get the unpleasant test failure report do they find out. Since 2014 it had been part of the MOT test to check a filter is fitted and it is illegal to drive a car on the road inside the EU without a DPF fitted if, it was fitted as standard to the car at the factory when manufactured. And it gets worse, the filters (DPF) are very expensive, costing around £1000 and more, as well as attracting additional labour and service costs to fit and return the cars management system to standard. Meaning the bill to reinstall and fix a missing DPF system can run into thousands of pounds at a main dealer. 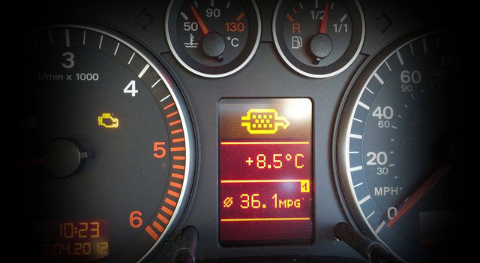 At this time the MOT test is just a visual inspection of the DPF system, However from 2017 the test is set to become much more thought, with internal confirmation that the DPF filter is fitted and working, so if your DPF filter is not fitted, passing the MOT is about to become much much harder. And worse still, its unpleasant enough to learn your car has failed the MOT, and will need a costly repair, but if you are found using a car on the road that has its DPF system removed, you may be fined up to £2000 or have your car confiscated. Viezu and our dealer network can help, with access to high quality replacement DPF’s and original factor software settings, we can rebuild and reinstate your DPF system for a fraction of the main dealer price. Many of our tuning dealers can also arrange cleaning and servicing of the DPF system, so if you are having issues with your DPF system please talk to us before allowing anyone to remove your DPF system and make an issue into a nightmare.